Chuck Boyd's love affair with photography began when his mother gave him a camera as a gift when he was thirteen years old. He quickly found his artistic voice, and at the age of sixteen, he went to work for Los Angeles radio station KRLA, covering special artist promotional functions. Shortly after beginning his work at the station, Boyd began working for Tiger Beat, shooting rock-and-roll acts for the influential teen culture and music magazine. In 1967, Buck Munger, an independent record producer and the national promotion director for Sunn Amplifiers, hired Boyd as Sunn's official photographer. While working with Munger, Boyd had the opportunity to photograph Cream, Elton John, Led Zeppelin, KISS, and dozens of other artists throughout the 1960s and '70s. Since he was often shooting photos for Sunn, Boyd always had unlimited stage access. His photographs represent both his talent and his incredible access to rock-and-roll stars both on and off the stage. Boyd took his camera everywhere and recorded everything, but he never broke a confidence; he turned down a lot of money over the years to protect the people he considered his friends. 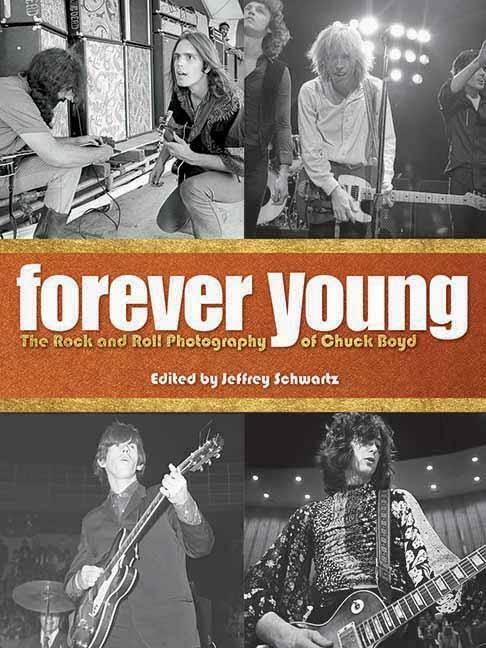 Forever Young stands as a legacy to Boyd's incredible rock-and-roll photography. From stage shots to candid portraits, Boyd saw and documented the lives of a host of legendary musicians, including the Rolling Stones, Bob Dylan, the Who, the Doors, Janis Joplin, the Mamas and the Papas, Tom Petty, the Grateful Dead, Simon and Garfunkel, and the Beach Boys. A portfolio filled with intimate images of rock stars in their youth and in the prime of their careers, these photos, which were only recently discovered, have been lovingly restored and are now being made available to the public for the first time. Capturing the zeitgeist that permeated rock through the 1960s and '70s, these images are a testament to Boyd's status as one of the most trusted and respected photographers in rock-and-roll history.